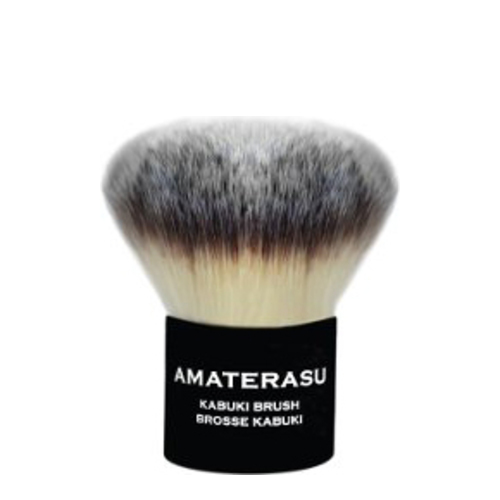 Inspired by the most important Japanese beauty tool, the Amaterasu Kabuki Brush is an indispensable makeup essential. Masters of porcelain-perfect complexions, the performers of the Japanese Kabuki Theater relied upon their kabuki brushes to apply their makeup. Densely packed, luxuriously soft vegan fibers hold and deliver product, while smoothing even the most sensitive of skin. The result: a perfectly air-brushed, radiant face. Our Kabuki Brush was made to behave beautifully with all complexion powders, both loose and pressed. It can also be used for touch-ups. • Swirl brush evenly into loose or pressed powder. • Beginning with center of face, or cheeks if used for blush, gently buff in small circles outwards. • Repeat until desired coverage is achieved.